I’ll be talking about “The Wired City” and the future of journalism this Wednesday, June 25, at 7 p.m. at the Rockport Public Library. If you’re in the area, I hope you’ll have a chance to stop by. Can indy local media survive and thrive? Yes! they can. 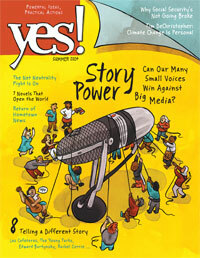 I have an article in the summer issue of Yes! magazine about the online revival of independent local journalism that I document in “The Wired City.” The article, “Return of Hometown News,” focuses on the Banyan Project, whose founder, Tom Stites, hopes to launch the first in a series of cooperatively owned news sites in Haverhill later this year; the New Haven Independent; and The Batavian. My April 27 TEDxLowell talk about “The Wired City” and what’s next for community news, “Telling the Local Story,” is now online. You can view all the speakers here. The UMass Lowell students who put this together did a great job. Congratulations to Melissa Bailey, managing editor of the New Haven Independent, who’s been selected as a Nieman Fellow for 2014-’15. I accompanied Bailey on several reporting assignments in researching “The Wired City.” The photo above is a still from a June 2009 video interview I conducted with her, Independent founder and editor Paul Bass and New Haven Register managing editor Mark Brackenbury. Here is the full announcement from Harvard’s Nieman Foundation. As always, it looks like a distinguished class of fellows. I’ll be speaking at TEDxLowell this Sunday, April 27, on “Telling the Local Story: The Fate of Community Journalism in a Time of Cultural Upheaval.” Essentially I’ll be talking about what led me to write “The Wired City” as well as what’s next for local news. You can check out the slides for my presentation above. It looks like a great slate of presenters. I’m especially looking forward to hearing from Becky Curran, a motivational speaker with dwarfism, who’ll talk about “The Media’s Perception of Little People and the Disability Community.” Way back in 2003 or ’04, I spoke about my first book, “Little People,” at Providence College. Becky was a student at PC and took part in the discussion. Becky and I will be part of Session 1 at TEDxLowell, which will be held from 1 to 4:30 p.m. The event will take place at the United Teen Equality Center, located in downtown Lowell at 34 Hurd St. There is an admission fee; I hope that won’t dissuade you from dropping by. 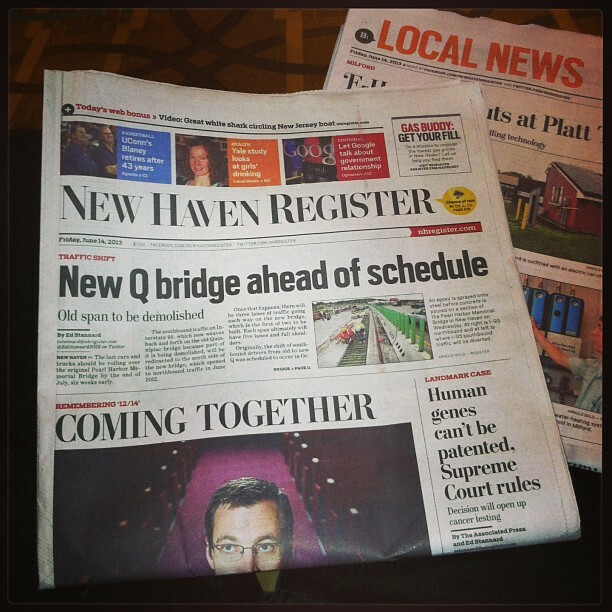 I first visited the New Haven Register, a regional daily, in 2009. 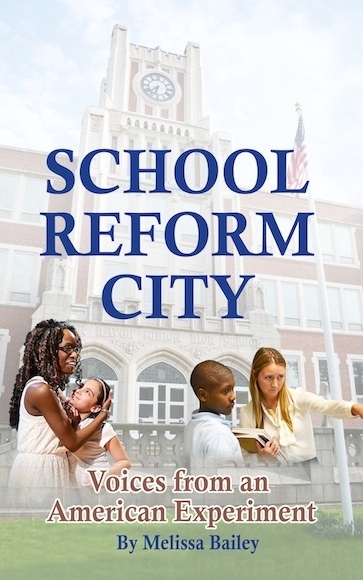 I was interviewing people for what would become The Wired City, a book centered on the New Haven Independent, a nonprofit online-only news site that represents an alternative to the broken advertising-based model that has traditionally supported local journalism. The Register’s corporate chain owner, the Journal Register Co., was in bankruptcy. The paper itself seemed listless and without direction.